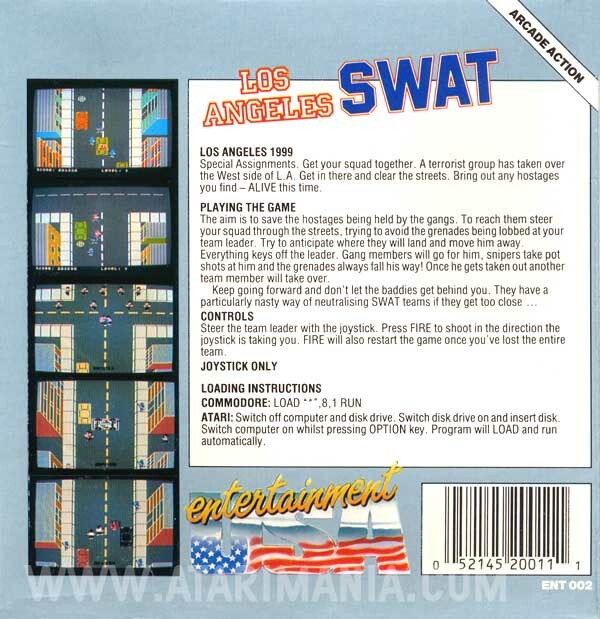 Well-Presented and nicely executed shooter but SWAT means 'Special Weapons And Tactics' which is over-egging the 'walk up the street shooting thugs and avoiding civilians' type of gameplay. Good for a quick play but I thought it lacked longievity. In my opinion, one of the best games for the Atari 800. You work your way up the screen taking out anyone in your way (apart from the old ladies!) and dodging grenades / snipers. At the end of each level you have to rescue a hostage. It can get quite repetitive but the difficulty level is just right. The Spectrum version is awful so stick to this one! Great game, if not a little simple though! 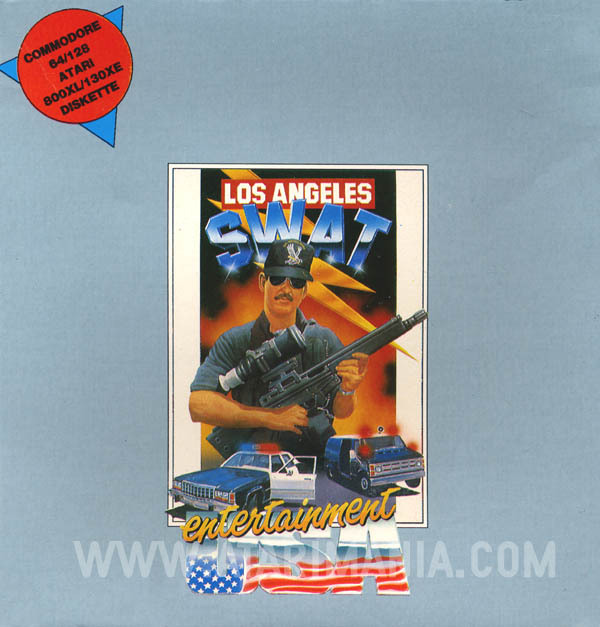 I loved playing this even more when I discovered I could play audio cassettes through the atari tape deck when this game had loaded! A fairly entertaining, if somewhat violent, shoot 'em up game!